Okay, y’all, these are the bom-diggity! 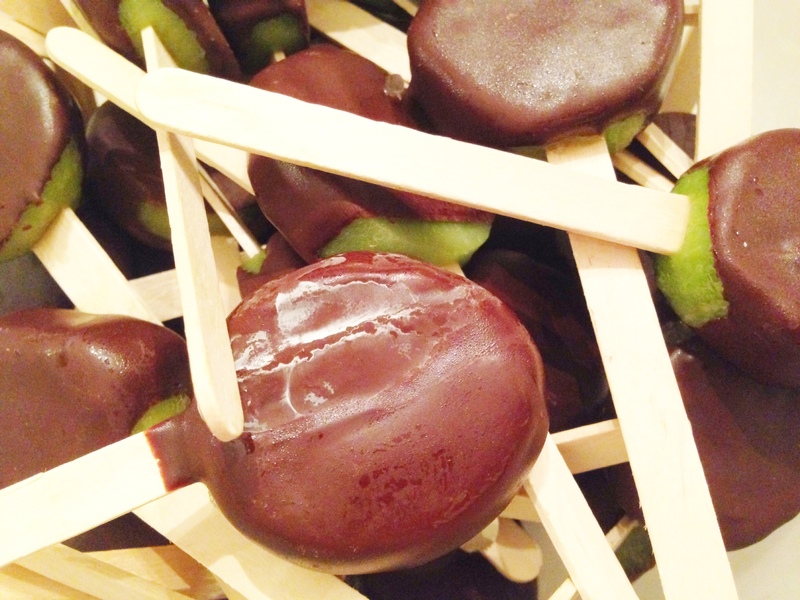 At family dinner last week one of our family members brought over these awesome chocolate covered kiwi pops. They’re paleo, they’re refreshing, and needless to say, they’re delicious! They have the perfect amount of tartness from the kiwi combined with the sweetness from the chocolate. And the texture is oh so satisfying. Slice the peeled kiwis into rounds. Stick a lollipop or popsicle stick in the edge of each one. Place on a tray lined with wax paper or parchment. Freeze for at least 4 hours and up to 48 hours. In a double boiler, melt the chocolate and the coconut oil together. 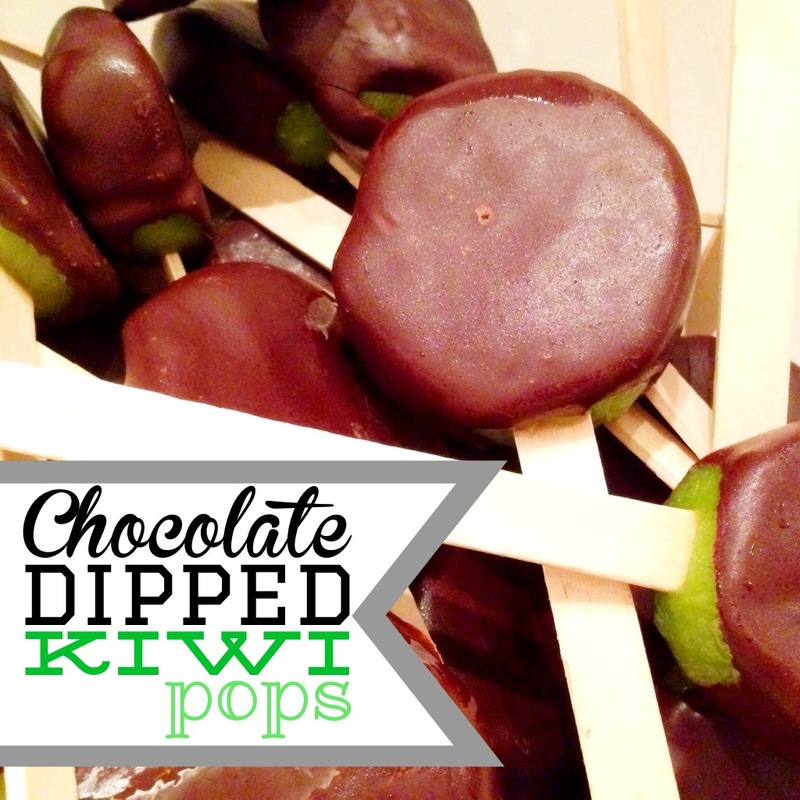 Dip each frozen kiwi into the melted chocolate. 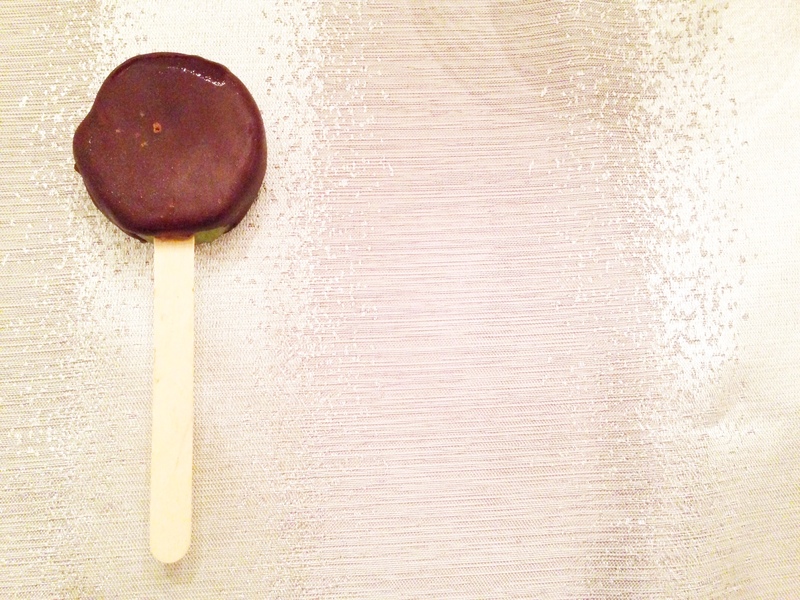 The chocolate will harden within a few moments of being dipped. I never would have thought of dipping kiwis in chocolate, but now I’m thinkin I need to try this! This looks so good- I really want this yummy treat for dessert tonight!